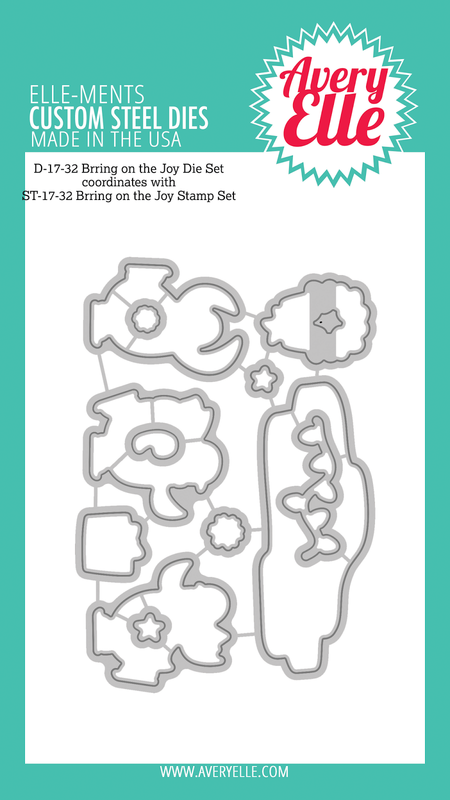 This week we are featuring products from our Brring On The Joy stamp and die set. This set is SOOO cute! We hope that you enjoy the projects everyday this week. It's Yainea here brrringing on the joy with a Christmas card that features the fun and cute Brring On the Joy stamps and dies. 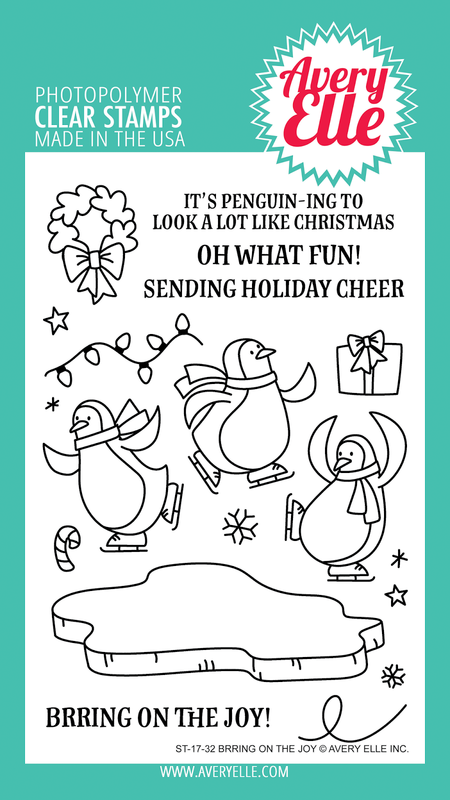 I love these penguins, they look like they're rushing to have all the Christmas preparations ready, haha. I colored the images in my card with watercolor markers and then I used the coordinating dies and my die cutting machine to die cut them. 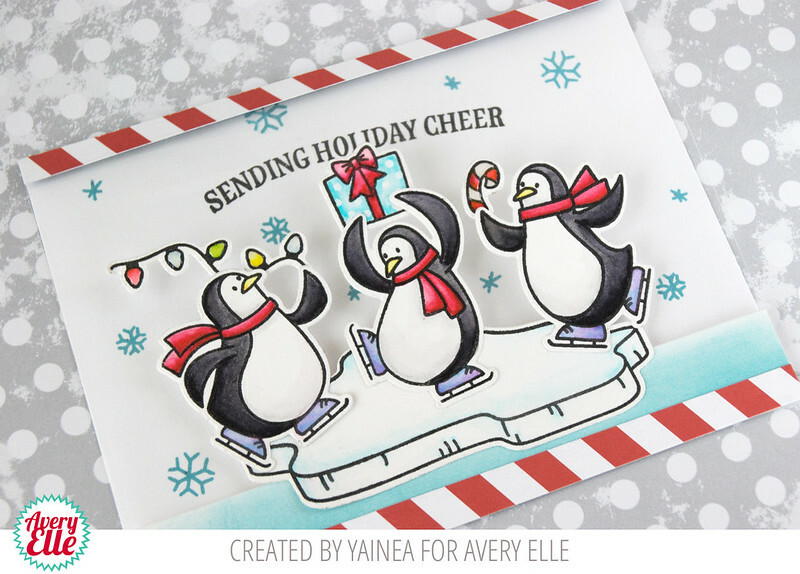 Then, I prepared my card base: I used an acetate piece where I adhered a pair of stripes of red paper from the Jewel Collection paper pad and another stripe, colored with Distress inks and a blending tool to create a "water" panel to place my penguins. On the inside, I adhered a panel of white cardstock where I stamped my sentiment and some snowflakes. 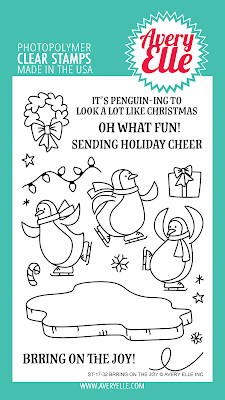 I hope you like my card for today! Don't forget to keep checking out the Avery Elle blog during all this week for more inspiration using this fun set! I created this quick card and video as well. Check it out below.